Happy Saturday! Hi, Michael Ian Black! Hi, Debbie Ridpath Ohi! 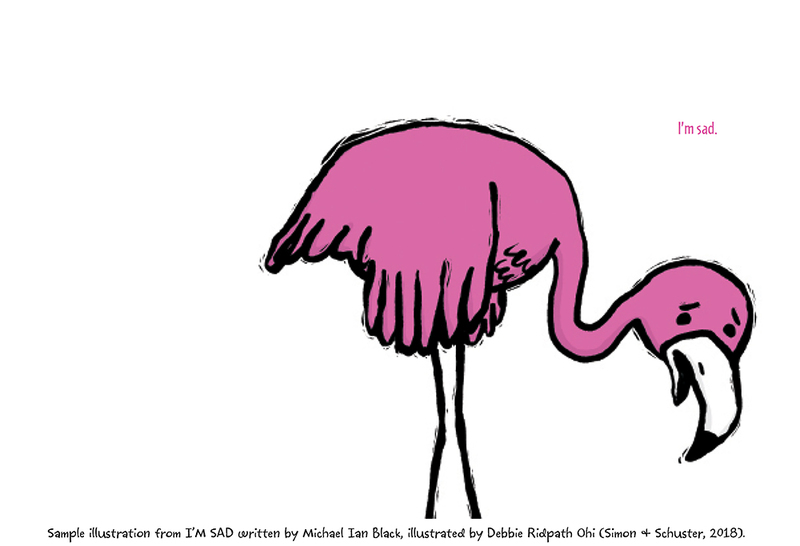 MANY thanks for dropping by to celebrate I'm Sad's cover and jacket with me. Debbie Ridpath Ohi: Hi, Mr. Schu! I still remember when you and Colby Sharp did a Sharp-Schu trifecta for I’M BORED! Didn’t Laurent Linn come up with a fantastic jacket design? 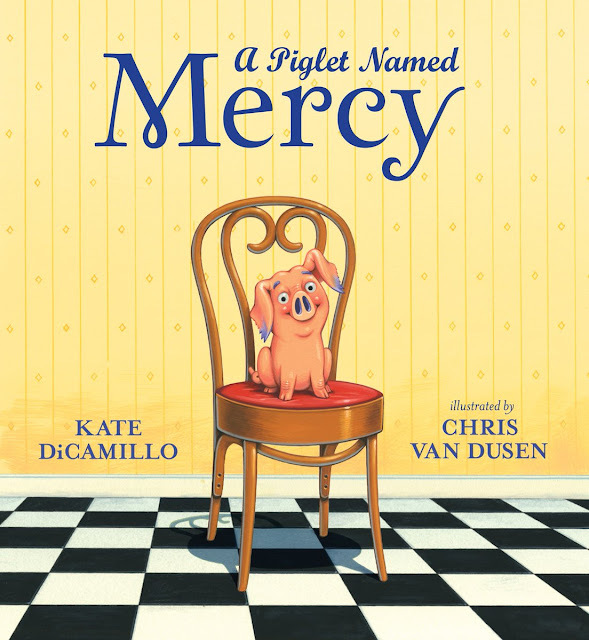 I can’t wait for this to launch from Simon & Schuster Books For Young Readers in June 2018! Yes! I love it! Michael, what inspired you to write I'm Sad? So often, when our kids (or our friends or co-workers or whomever) are sad, our instinct is to try to make them feel better instead of just being there for them in a supportive way without necessarily trying to “solve” their sadness. We all feel sad sometimes, and when we do, it’s good to know we have people (or potatoes) in our lives who won’t think any less of us for feeling the way we feel and who will still love us no matter what. Debbie, what was it like to illustrate I'm Sad? 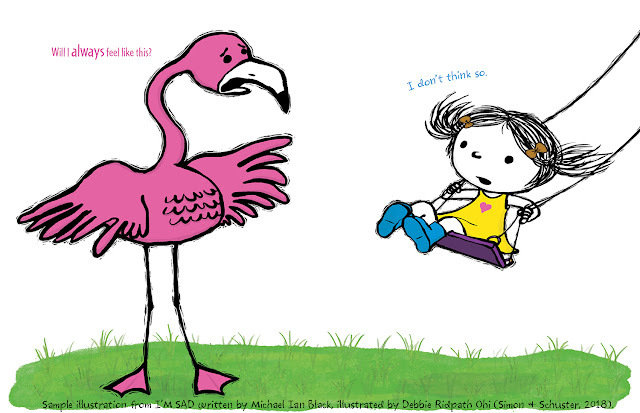 I was very VERY happy to work with the Potato, Little Girl and Flamingo again! I love the story more than I can say. It's sweet and funny and hopeful all at the same time. I cried the first time I read it ... but it also made me laugh out loud. I wish this book existed earlier in my life. 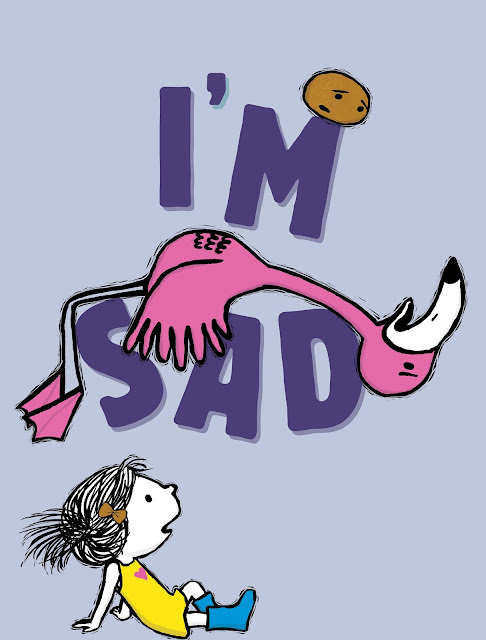 Look for I'm Sad on June 5, 2018.